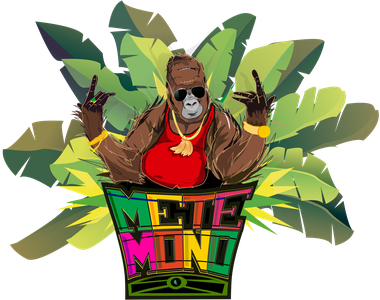 Mete Mono, a group of Latin Americans living in Hamburg, take traditional Afro-Caribbean beats, like reggae and champeta, and Latin American music, like cumbia, and mix it up with modern sounds to cook up something that guarantees to make your body move. Strong characters, a next to natural stage performance, and an incredible amount of energy let them transmit the message of their songs even across language barriers. The band members bring their inspiration and talent from different musical, cultural and professional backgrounds. The realness of their lyrics allows listeners to relate instantly to stories of love, struggle and humor. This has led to concerts at international events such as the Latin-American Festival in Hamburg, “La Fiestota” in Cologne, Fusion Festival, as well as sharing the stage with artists from Spain, Mexico, Honduras and Colombia, and in many local venues at their second home, Hamburg. Currently, Mete Mono is working on their first EP, pushing towards a release in 2017. Their second single "El Minuto" was recently released with a video collaboration from Masaka Kids Africana, a beautiful project helping children in Uganda.